A lot of personal development approaches still come down to trying to fix yourself, trying to change limiting beliefs, taking massive action based on what you don’t want, trying to get away from your current circumstances, etc. That simply doesn’t work. Join us for a salon session with Lidija and Filip, a casual but frank conversation about the gaps that these methods leave, and what constitutes a more effective approach. Lidija Markovic Rosati is a former banker turned international NLP trainer, co-creator of the Momentum Method and entrepreneur. Lover of life and people. Curious nomad – born in Eastern Europe (Serbia), lives in Western Europe (London) and works across Europe. Writes Haiku poetry, explores the power of the unconscious and its relationship with language. She started Yes Group Serbia and co-founded Momentum NLP Serbia. Biggest breakthrough: leaving behind the safe corporate world and finding the courage to embark on the most beautiful adventure called: LIFE. 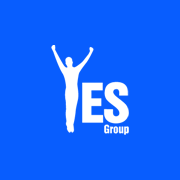 Filip Roeckens is a Natural Success coach and trainer, and the founder of Yes Group Belgium. Loves intuition, Structural Dynamics, the wisdom of the body, and dancing.